Rick and Morty is an American adult animated science-fiction sitcom created by Justin Roiland and Dan Harmon for Cartoon Network's late-night programming block Adult Swim. The series follows the misadventures of cynical mad scientist Rick Sanchez and his fretful, easily influenced grandson Morty Smith, who split their time between domestic family life and interdimensional adventures. 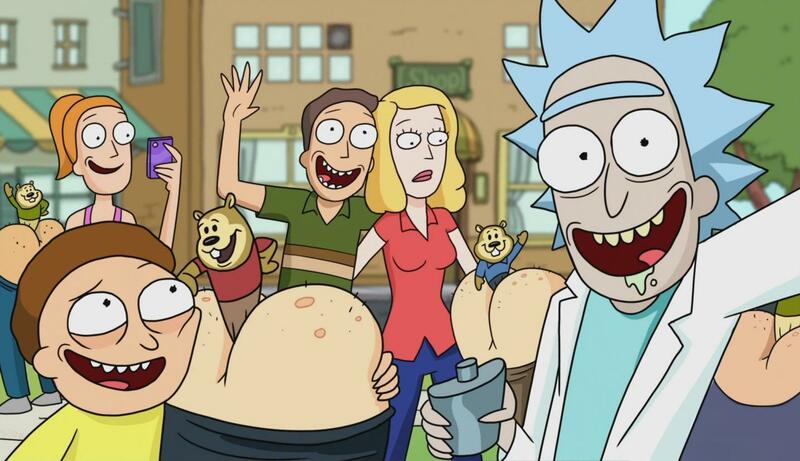 Roiland voices the series' eponymous characters, with the voice talent of Chris Parnell, Spencer Grammer, and Sarah Chalke providing the rest of the family. It premiered on December 2, 2013.